This Thursday's running of the Can-Am Duels at Daytona will see four Open teams compete for the final two spots in this year's Daytona 500. Among them are Timmy Hill, who gave his car owner Rick Ware his only Cup start at Las Vegas in 2012, and Canadian star D.J. Kennington with start-up team Gaunt Brothers Racing. These teams, and the "go-or-go-home" battle they'll wage, stir memories of others who came before. A journeyman driver with just 46 Cup starts at the time, Purvis stepped away from Cup in 1997 to focus his attention on what is today the NASCAR XFINITY Series. There, he continued to have success with car owner James Finch and his Phoenix Racing Team, scoring two XFINITY victories at Richmond and Michigan. In 2001, Finch eyed a return to Cup competition, looking to attempt the four restrictor-plate events as both he and Purvis did in ’96. The team acquired at least one Ford from Bill Elliott’s owner-driver operation after Elliott joined Ray Evernham’s Dodge factory effort. 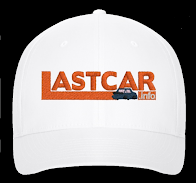 The car, painted white with a red roof and few decals, would again have Purvis behind the wheel. But the 52-car entry list was stacked with fully-funded rides, and Purvis’ speed was good enough for 25th in the 26-car field for Race 1. Needing track position when a late caution flew, Purvis stayed out along with Derrike Cope. When the green came back out, the two cars slid back, but Purvis held on to finish 8th, locking him into the big show. Unfortunately, an early tire failure left him last in the tragic 500. 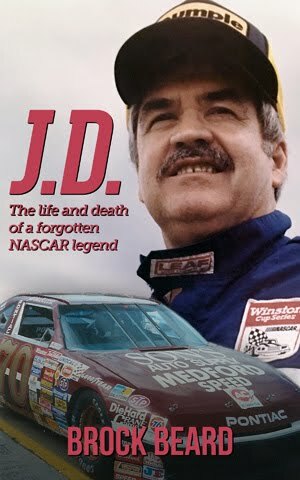 The death of Dale Earnhardt weighed heavily on his friend and fellow competitor Dave Marcis, who decided to end his 35-year career with one more attempt to make the 500 field. The ageless owner-driver (61 during SpeedWeeks 2002) had won five races in 882 starts and made an incredible 32 consecutive starts in the 500 from 1968 through 1999, all while wearing his trademark wingtip shoes. Richard Childress Racing, who provided Marcis with cars in the latter part of his career, prepared him a silver-painted RealTree Chevrolet for his final run, but after missing the last two 500s, a starting spot wasn't guaranteed. 22nd-fastest in qualifying, Marcis rolled off 11th in Race 2, then actually gained four more spots to finish 7th, not far behind Childress drivers Kevin Harvick and Robby Gordon. Marcis earned the 14th starting spot in his final 500, but engine woes left him 42nd after 79 laps. Marcis still owns the silver car today and fine-tunes it at his shop for land speed records. 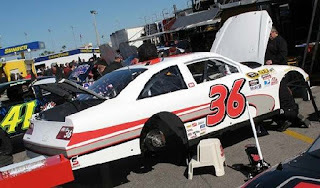 When Morgan-McClure Motorsports couldn’t find a steady sponsor to replace Kodak Film, Lepage, the team’s 2004 driver, pieced together a partial Cup and XFINITY effort to get him through the rest of the year. At Bristol that August, Lepage found his way to the unheralded R&J Racing, a single-car operation operated out of a tiny shop by team owner John Carter. One of a handful of start-up teams to spring up during the offseason recession, R&J finished no better than 27th all season and weren’t expected to play a role in the following year’s Daytona 500. Still, the team dropped a new Dodge Charger body on their #37, brought it to Florida, and after starting 20th in Race 2, rocketed up to a 3rd-place finish, more than enough to lock themselves into the 500. But they weren’t done yet. Lepage kept his nose clean on Sunday, earned a Lucky Dog on Lap 169, and caught the leaders in time to snag a 9th-place finish, Lepage’s career-best. The $307,138 in winnings, combined with last-minute sponsorship from Patron Tequila, carried the team through the entire ’05 season, and Carter fielded Cup cars until the 2009 finale at Homestead. Another underdog inextricably tied to “The Intimidator” was Kirk Shelmerdine, Earnhardt’s crew chief from 1982 through 1992. Eager to try his own hand behind the wheel after a one-off driving for Childress in 1981, Shelmerdine left the team to pursue a career in XFINITY, Truck, and Late Model Sportsman Series competition. He made his next Cup start in 1994, finishing 26th in a one-off for Jimmy Means at Talladega, and in 2002 started his own Cup Series team, Kirk Shelmerdine Racing (KSR). Like R&J Racing, KSR started at just the right time, and with fields short, Shelmerdine was able to attempt the full 2004 season with limited funding. “Attempt” was the proper word, for Shelmerdine’s #27 and #72 Fords never finished a race under power all season and the driver finished no better than 37th. KSR made just three starts in 2005 before gearing up for an unlikely bid in the 2006 Daytona 500. Though his black #27 did not have the current 2006 Chevrolet sheet metal, Shelmerdine ran 32nd-fastest of 58 drivers in qualifying, giving him an outside chance of locking himself in on speed. When he finished just 21st of 29 in Race 2, however, it appeared he was going to be sent home. But when Robby Gordon raced his Chevrolet into the first transfer spot, Shelmerdine was locked-in on speed – 42nd on the grid. With tires purchased by Childress, whose winery was promoted on the car in exchange, Shelmerdine avoided the late-race carnage to finish 20th, his own career-best. The effort, worth $272,008, allowed KSR to continue to attempt races through the summer of 2010. Though he’s the only member of this list whose attempt did not result in him earning a spot in the Daytona 500, James Harvey Hylton cannot be forgotten. Arguably the most successful independent driver in NASCAR history, Hylton had made 602 Cup starts from 1964 through 1993, including 15 starts in “The Great American Race.” 72 years young in 2007, Hylton had become a regular in the ARCA Racing Series, but surprised everyone by announcing in January his intent to make his first 500 start since 1983. If he made the show, Hylton would break the record set by 65-year-old Hershel McGriff as the oldest driver to start a Cup race. Like Marcis before him, Hylton’s car owner J.C. Weaver acquired a car from Richard Childress, a bright orange Chevrolet previously driven by Robby Gordon in 2004. With his traditional #48 taken by defending series champion Jimmie Johnson, Hylton took car #58, and carried logos for, appropriately, Weaver’s “Retirement Living” network. Hylton anchored the charts in testing and was second-slowest in time trials, besting Mike Wallace, who had mechanical trouble. With a tremendous entry list of 61 drivers, this put Hylton 30th in the 31-car field for Race 1. Just like Purvis in 2001, Hylton parlayed pit strategy to run as high as 8th on a restart with 11 laps to go, holding fast to the first transfer spot. But when another caution forced a six-lap sprint to the finish, Hylton’s transmission broke, and he was shaken out of the draft. He came home 23rd in the race, one of 18 sent home on Thursday. Two years later, Hylton made a second attempt to make the 500 field, but when mechanical issues prevented his car from completing a practice lap, the team was forced to withdraw. Hylton remained in ARCA through the 2013 season, and Brad Smith drove his Ford to a 17th-place finish in last Saturday’s Daytona opener. The recession that plagued the early part of NASCAR’s 2004 season returned with a vengeance in 2009, spawning another generation of start-up teams. 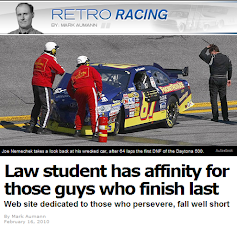 Eight of the 56 teams which showed up for SpeedWeeks hadn’t even existed just weeks before. Among them were the cars driven by Cup veterans Scott Riggs and Jeremy Mayfield. Like Lepage, Riggs impressed during the 2005 Daytona 500, finishing 4th for MBV Motorsports, but lost his ride following Tony Stewart’s 2008 purchase of HAAS-CNC Racing. Mayfield was Riggs’ HAAS teammate that same season, but was released just seven rounds into the year. Riggs landed with veteran crew chief Tommy Baldwin, who resurrected his XFINITY Series program into a start-up Cup team. Mayfield acquired a handful of Toyotas and started his own team, Mayfield Motorsports. Both drivers and teams struggled through the week – in fact, both Mayfield’s #41 All Sport machine and Riggs’ unsponsored #36 were the slowest in Happy Hour. But in Race 1, Riggs finished 8th, second-highest among Toyotas, while Mayfield finished 9th in Race 2. Both drivers not only made the 500, but would fill out Row 9. Riggs finished 25th in the rain-shortened event while Mayfield wound up laps down in 40th. While controversy later claimed Mayfield’s team and career, Riggs has raced in NASCAR as recently as 2014. Elliott Sadler locked Baldwin’s team into this year’s 500 on speed. “I wanna cry,” said the Oregon driver who finished 13th in 2007 Race 1. After scratching and clawing his #49 BAM Racing Dodge through the pack, Mike Bliss had come just short of nipping Boris Said for a spot in the Daytona 500. It was the latest in a series of frustrations. After years of bouncing between Cup, XFINITY, and Truck Series competition, Bliss landed his first full-time Cup Series ride in 2005 with HAAS-CNC. He earned two Top Tens that season and led five laps, but his year was most known for being spun out of a win in the NEXTEL Open by Brian Vickers. Following the near-miss in 2007, Bliss again focused on XFINITY, scoring his second career win at Charlotte in 2009. The following year, Daytona called once more with an opportunity to drive Tommy Baldwin’s #36 Wave Energy Drink Chevrolet. Bliss was fast in practice, but a crash totaled his primary car. Forced to run the same car Riggs raced into the field the year before, the team got the car ready just in time to start 15th in Race 2’s field of 27. And after 60 laps, Bliss jumped to 13th – locking him into the 500. Though an early crash left him 42nd, Bliss’ excited interview after the Duels was clearly a career highlight. “We’re in the Daytona 500 with this Wave Energy Drink car!” he said proudly. The image of two Dodges, locked at their bumpers in tandem draft, remains one of the most enduring in recent memory. In back was Brad Keselowski, Penske Racing’s newest star, having climbed aboard the flagship #2 Miller Lite Dodge vacated by new teammate Kurt Busch. In front, driving a white #92, was big brother Brian. The Dodge, according to the eldest Keselowski, once belonged to Evernham Motorsports in 2006, and had a new body bolted onto it at the family’s Michigan shop, K-Automotive Motorsports. 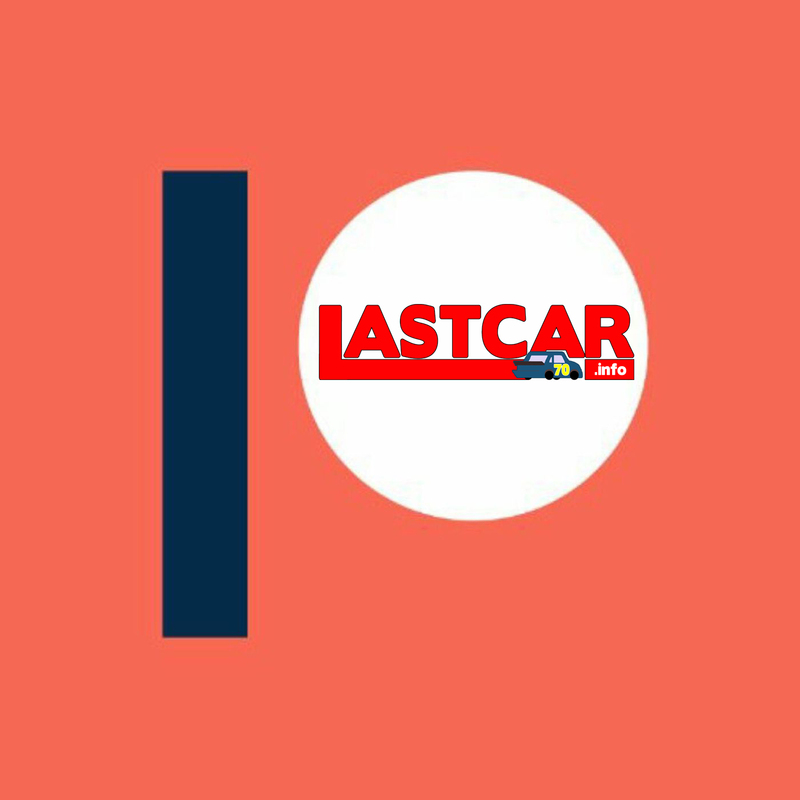 The previous year, K-Automotive claimed the LASTCAR championship with driver Dennis Setzer, the team start-and-parking through the XFINITY Series season, likely in preparation for this jump to Cup. The car was slow in every session, “it would not hunt,” said Brian, and was perhaps the biggest longshot on the entry list. But younger brother Brad linked up early in Race 2, pushing the sluggish #92 from last in the 24-car field to a stunning 5th. The Cinderella story attracted competing sponsorship proposals from Golden Corral and Discount Tire. A brand-new engine was offered, but had to be turned-down because it wouldn’t fit the car’s old engine mounts. Unfortunately, as so often happens in the 500, an early crash eliminated Keselowski, leaving him 41st. Most recently comes the strange tale of Xxxtreme Motorsports, aka Team XTREME Racing, and the up-and-down week the team endured. Johnathan Cohen’s single-car operation first hit the track in 2012, debuting sharp-looking paint schemes with new sponsorship from No Label Watches. The team brought on a collection of journeyman drivers, including David Reutimann, Scott Riggs, J.J. Yeley, and Timmy Hill. 2015 would mark the team’s first-ever attempt to make the 500 field, and they tabbed Sorenson, the 5th-place finisher in 2008, to drive. Sorenson, just 31st of 42 in pre-qualifying practice, needed a strong performance in time trials. What he got instead was a wrecked race car. NASCAR’s ill-fated restrictor-plate group qualifying format wreaked havoc that Sunday, and Sorenson was in the wrong place at the wrong time in a tangle with Clint Bowyer. It took a tremendous effort to get the next #44 ready for Thursday’s qualifying races, but the team pulled it off, and Sorenson lined up 20th in the 24-car field for Race 2. After a green-white-checkered finish, Sorenson finished a strong 7th and ran 33rd in the 500. Unfortunately, this was the twilight for Cohen’s team. A bizarre race car theft at Atlanta, followed by financial woes, caused the team to close by summer. Sorenson will again attempt Sunday’s 500, this time driving for Premium Motorsports.